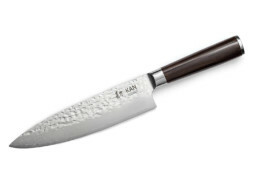 What can be defined as the best steak knife set? There are some common features in a knife that are apparent like it needs to be razor sharp, obviously, but other then it’s sharpness, there are several other factors too that needs to be taken into serious consideration before purchasing one. It is very important that you choose a knife that is made up of the most high-quality material so that it doesn’t rust or corrode over time. This is crucial and cannot be compromised with. Without the perfect steak knife, it will be impossible to cut and carve it the way a steak has to be cut. The type of knife will define the final dish that you serve your guests. A blunt, low-grade knife will give you uneven pieces that will look butchered. Whereas, a piece of meat cut with a razor sharp properly sized knife will have the most precise cut and professional look. Usually, there are two types of blades available under steak knives, serrated or straight, and each one of them slices the meat in a very different manner from one another. In a straight knife, the blade tends to be straight and without any crumples, whereas, in a serrated knife, the blades are with ridges. The straight-edged knives come with a certain drawback. Although they are as sharp and durable as the serrated done, these knives tend to get blunt very easily as they get constantly rubbed off on ceramic and glass surfaces. This wears out the sharp edges of the knife. However, the teeth like ridged in the serrated knives hold on to their sharpness for a longer period of time and cut through the meat with precision and like butter leaving behind a clean cut of steak. The cuts are more even and look professional. Here we have some useful tips on how to choose the best steak knife. 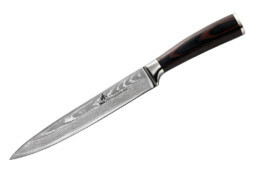 We have even listed below some of the top steak knives for your convenience. So, let’s have a quick look into it. Just the way a knife can’t function without sharp edges, without balance you cannot operate the knife with ease. When we talk about balance in a knife it is not how the knife is harmonizing with the mass of the blade while you are balancing it on your finger. It is rather about proportionality between the handle and the blade. With an unbalanced knife, it will be impossible to chop or slice the rack of meat or steak. So, it is very important to choose a well-balanced knife, but the question is, how to? Whenever you want to go and purchase a steak knife you must check three important points. Check whether the handle of the knife looks bigger and heavier than the blade itself. The blade must be protruding out of the handle in a straight point and not at a slant degree. The final thing that you need to check is whether the handle looks comfortable. It is important that a steak knife is comfortable to hold in order to work with it efficiently and slice the meat in an appropriate manner. Steak knives come in two different variants and materials. You can either pick a ceramic or a stainless steel one. However, each one is very different. If you are thinking of investing a good steak knife for your kitchen, then it is vital to know which one will be the best option. Ceramic knives are, as by the name suggests, made from ceramic which is also commonly known as zirconium oxide which is very right and durable in nature and cannot be damaged easily. It is manufactured by compressing powered zirconium and forming a hard solid by means of heat. Although it is as sharp and rigid like any other traditional premium quality knife, there is a slight difference in maintaining it. A ceramic knife has to be sharpened using a diamond dust glazed grinding maneuver. This is because ceramic is extremely hard than any other material used for making knives, hence it needs this particular grinding machine to be sharpened when the edges get blunt. Where a ceramic knife is composed of a single compound, stainless steel, on the other hand, can be composed of several different combinations of an alloy. This affects the quality and strength of the knife in general. 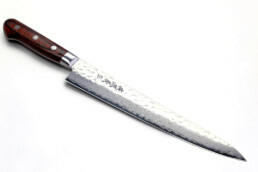 The ideal metals to be used for a premium quality stainless steel knife are iron, titanium and high-grade carbon. A good stainless steel knife will last you decades if you keep it well maintained. They are extremely durable in nature and widely preferred by professional chefs as well. When it comes to a steak knife Bellemain created one of the best ones. 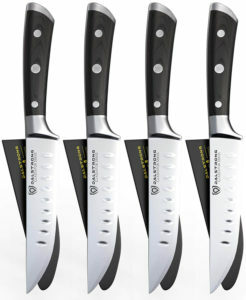 The Bellemain Premium steak knife comes in a set of 4. The set includes 4 spectacular and high-grade surgical blade knives. Each of the knives is razor sharp and made out of the finest quality stainless steel that is rust proof and extremely durable. The knives are made out of a full tang which makes them more rigid and strong. These knives are specialized for steak lovers so that they can slice through the meat like butter. The blades have been tempered with ice which raises their longevity. Each blade is 5 inches in length and is perfectly balanced with the handles. The black and silver combination gives the knife a classy look. The blades are hollowly grounded and help to prevent food from clinging onto it. If you love to devour delicious steaks then this knife is your ideal match given that these set comes in a great value and consists knives of the utmost quality. 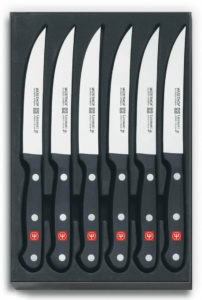 The Wusthof 6 piece classic steak knife set is a favorite of all. This knife set consists of 6 iconic razor sharp bladed knives which are ideal and specialized for cutting juicy and delicious steaks. The blades are 4 ½ inches long in length and are perfect for slicing meat. The blade is made up of high-quality carbon stainless steel which has been hand honed to makes it rigid and resistant to rust or corrosion. The handle is designed in a customary manner which has been riveted three times for greater strength and better performance. The best part is that it is dishwasher safe which means you won’t have to spend extra time washing them by hand and makes life a tiny bit easier. The super sharp blades cut through the steak like butter. If you are a fan of bbq steak then this set is a must to invest in and is definitely worth the price. This spectacular Dalstrong set is setting a new standard for steak knives in the market. The knives are made up of razor-sharp blades crafted with the cut edge technology and are created using the most premium quality material. The blade on its own has been carefully crafted out of a single full tang of ThyssenKrupp German steel with high-density carbon infusion. This makes the knives durable and long lasting. 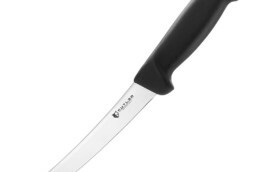 You can slice steak like butter with their cutting edge blades made especially for steak lovers. The handles of these knives are made from high-quality pakkawood which have been carefully riveted three times in order to give you a better grip and comfort while cutting the steaks. The tapered knives are made so that the food doesn’t cling onto the sides while slicing. 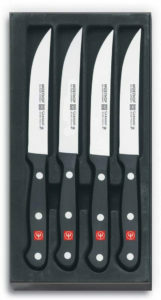 It is a must to add this knife set for your kitchen if you are someone who loves steaks and makes them occasionally. The set comes in classy black sheaths for better protection while storage. 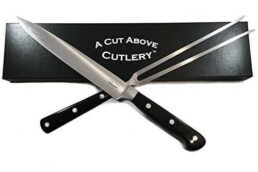 When it comes to kitchen knives and cutleries it is hard to miss out this brand. Chicago Cutlery has come up with this amazing 4 piece set of steak knives that are specially crafted for all the steak lovers out there. The blades of these knives are made up of high-grade carbon stainless steel. This makes the knives extra shiny and sharp and helps it retain the sharpness for a long period of time. Stainless steel makes the set rust proof and resilient. The knives have been carefully created to have the perfect balance between the blade and the handle so that you can cut through eh juicy steak meats with ease. 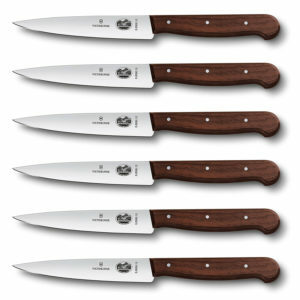 The classic walnut handles add a rustic look to the knives which will complement the theme of any steak dinner party. Not just that, the walnut handles are well riveted with brass for better security and stability. The Wusthof gourmet steak knife set of 4 is an excellent quality knife set to add to your cutlery collection if you love to devour steaks and enjoy hosting steak nights or bbq dinners. Its razor sharp blades are made from the most premium quality materials which make them rigid and strong. 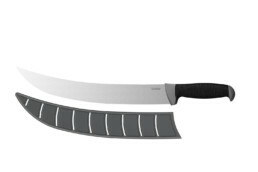 The knives come with a 4 ¾ inches blade and can slice any type of meat of any size you desire. What makes these blades extra strong and sharp is their high carbon stainless steel which is the best option to pick while choosing cutlery. Coming to the safety and stability while slicing the steaks, the handles of the knives are riveted thrice for you to have a better grip on it. If you hand wash these knives and maintain it well the sharpness will last you for longer. However, it is also dishwasher safe for your better convenience. Victorinox is a premium brand for manufacturing cutleries and their steak knives are undoubtedly one of the best ones that you can find. This one is a set of 6 knives made out of rosewood handles. The knives have straight edges razor sharp blades ideal to cut through any piece of steak. The blades are made up of high-quality carbon stainless steel in order to deliver you with the supreme level of sharpness and durability. Furthermore, in addition to that, the blades have been stamped from tapered steel in with a smooth edge design so that they can be sharpened easily. In addition to all these, the rosewood handles add a great rustic look to the set. 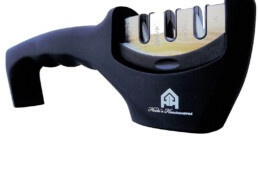 The handles are well riveted which increases their durability and strength. Although the set doesn’t come cheap, the quality it offers is undoubtedly worth every penny. 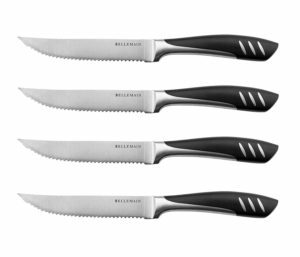 This set of 4 is a cheek and stylish stainless steel knife set manufactured by Bellemain, one of the tops in the field of cutlery manufacturers. This knife set contains 4 razor-sharp surgical quality knife made format the most premium quality stainless steel. It will not rust or corrode with time and if maintained well it will last you for years. 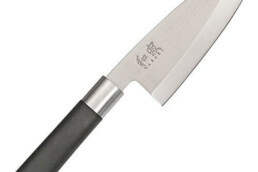 The full tang knives are great to slice through the steak effortlessly. 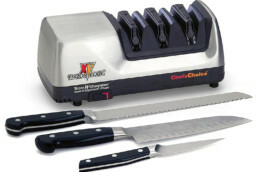 This has been crafted especially for all of the steak lovers as the 5-inch blade is ideal to make perfect meat slices. If you are someone who loves hosting family dinners then this is perfect for you. 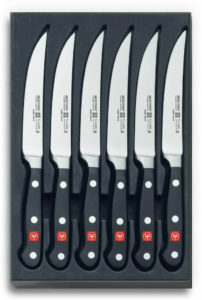 This set contains eight amazing knives and comes in a great price range. The blades are 4 ½ inches long which is the ideal length for a standard steak knife. 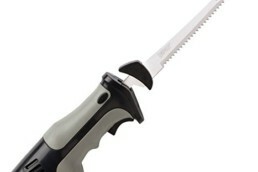 The handles balance the blade off perfectly and give you better control while slicing the steak. 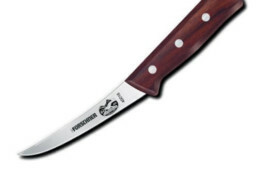 The knives are made from a premium quality steel which is rust proof and anti-corrosive. But if you want to maintain the shine and stability then hand wash the knives and avoid dishwasher at all cost. Overall, it is great for those of you who have a big family and if you are looking for a big set of steak knives. 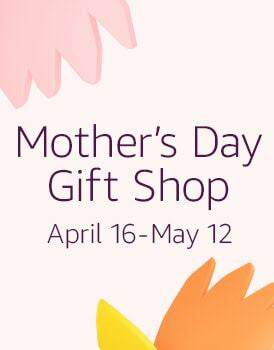 It is definitely a great value for money. 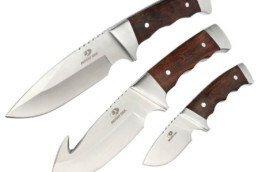 This set is a premium quality knife collection crafted by Wusthof. 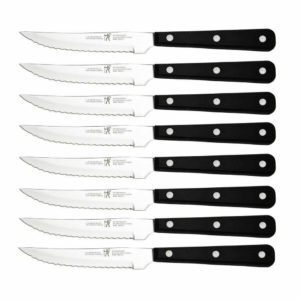 This set contains spectacular and supreme quality knives specially made for those of you who love steaks. The 4 and a half inch steak knives are perfect to cut the meat with ease. They get their super sharp quality and durability from the high-quality carbon stainless steel. In addition to that, the handles are crafted with synthetic polypropylene for better grip and hold. The handles have also been riveted thrice for greater strength. These smooth-edged knives are sure to win your heart if you are a meat lover as they cut through any type of meat like butter. This is undoubtedly a great knife set to invest into. Are you looking for a high-grade steak knife set? Well, your search is over now as we present to you one of the top brands amongst hundred other who produces the most supreme grade steak knives. Dalstrong is undoubtedly the best you can invest in. 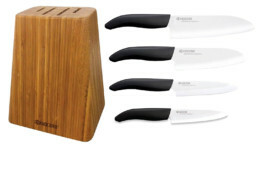 This set holds 4 straight-edged knives, crafted especially for all the people who love steaks. These come with a cutting edge technology that makes these knives extremely sharp. In addition to that, the knife is well tapered to make it more rigid and durable and increase longevity. 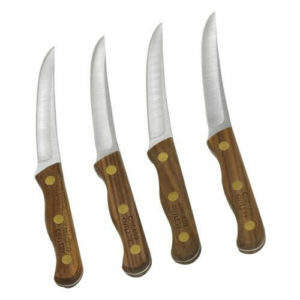 The knives come with a luxurious pakkawood handles that look classy and sophisticated. The handles are also riveted thrice and provide you with a better grip so that your hand doesn’t slip while slicing the meat. It is safe and you can handle it with ease and comfort. The set also includes premium quality sheaths for storing the knives in and keeping them safe. Whether you are a passionate cook or are planning on giving a steak restaurant or just a steak lover, it is wise to invest in a good quality steak knife set. After all, who doesn’t love to eat steaks and nothing can slice it better without a sharp steak knife. Therefore, it is a must to invest in a knife that is high grade and of professional standards. If you are having difficulty to select then these tips and reviews will sure help you to choose the best steak knife amongst the hundred others in the kitchen aisle of the supermarket. Do you use one of these steak knife sets? Let us know how you like it in the comments below!